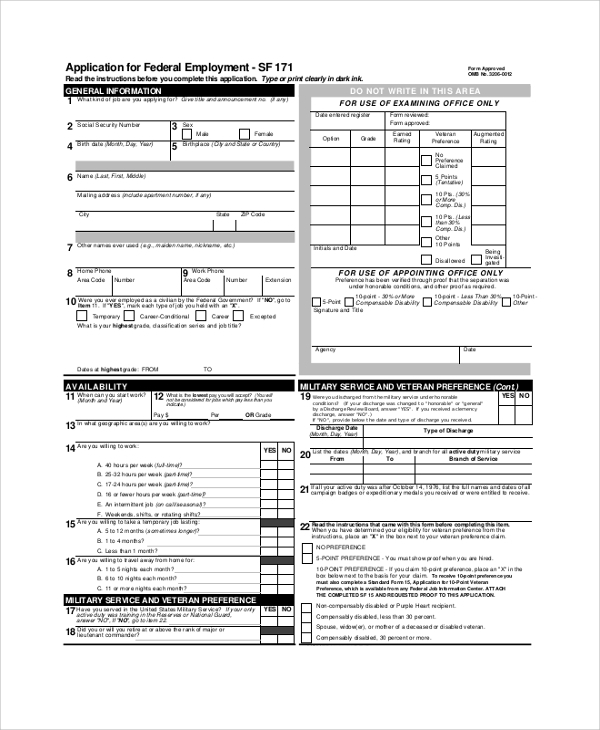 When you apply for employment at any organization, you need to submit an application form. 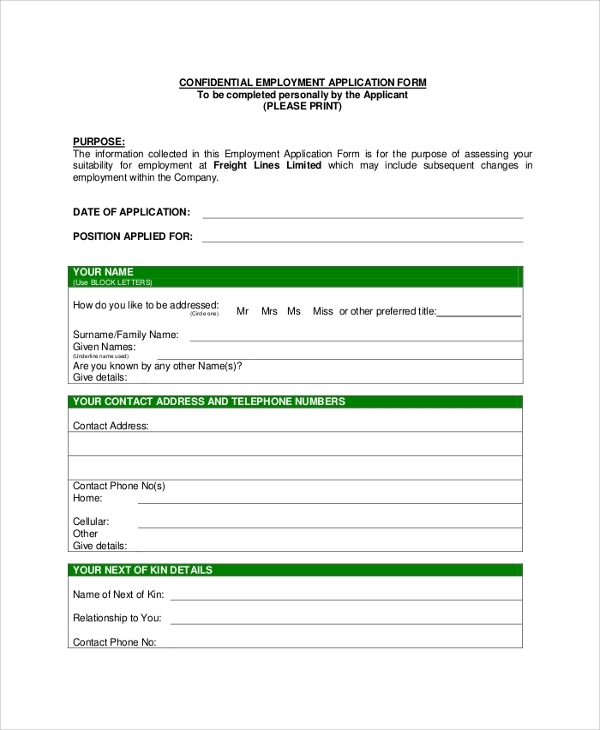 Sometimes apart from the application submitted by the job seeker, the organization also require them to fill an application form with all details. Hence, whether you are an employer or a job seeker, you may need the Sample Application Letters so that you can apply in a professional way. These application letters are concise and crisp that will tell the recruiter about your skills and experience. 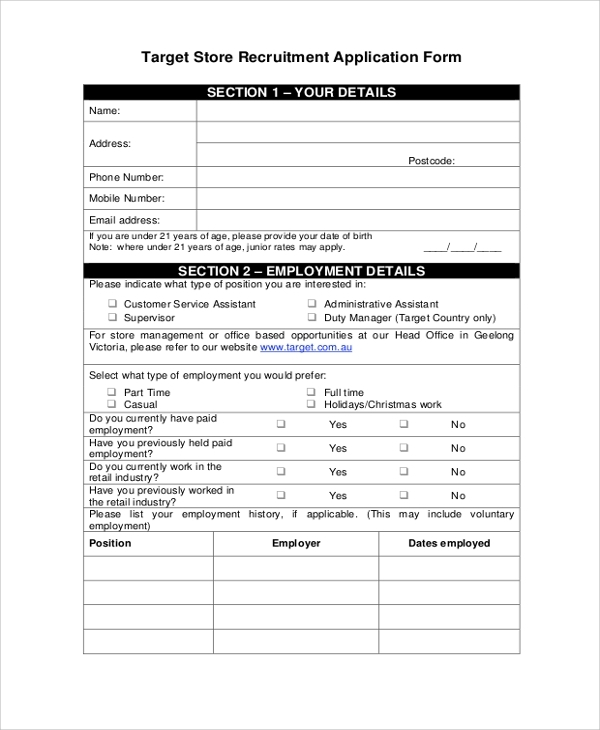 This employment application form will explain everything about the different sections that an application form must have. It is mostly provided by the employer that has to be filled by the employee when they appear for an interview. This is a classic example of application letter for employment wherein simple language is used, and it will help the candidates to showcase their skills and why the job should be offered to them. 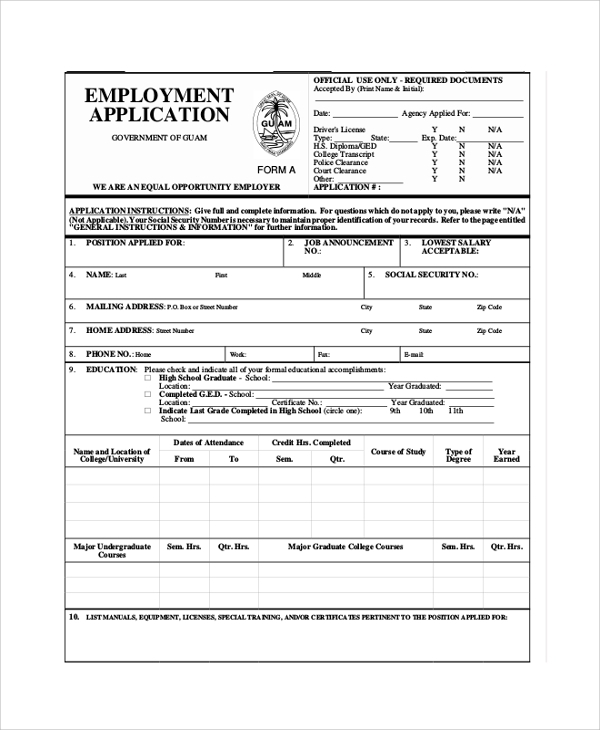 This job employment application form is simple and yet has all the necessary fields that will be required by the recruiters for choosing any candidate. It also has equal opportunity form that supports the cause of equal opportunity in the workplace. 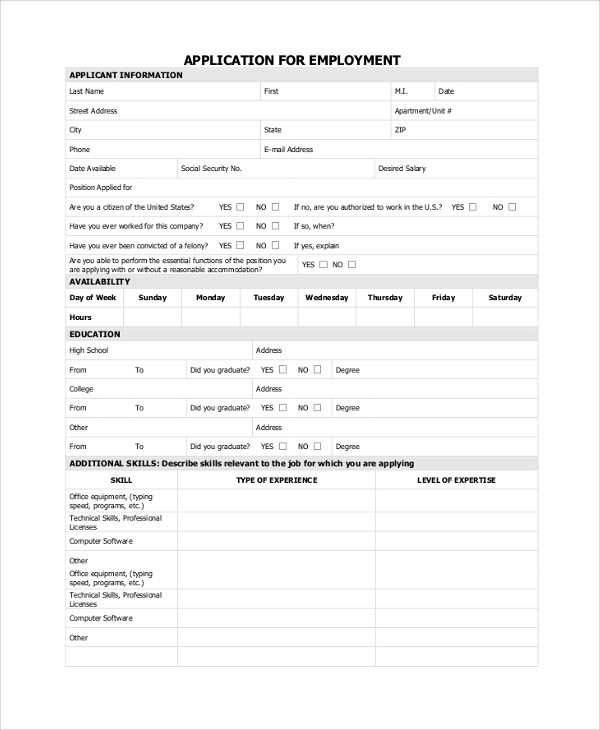 This target employment application form is ideal for those recruiters who are going to recruit candidates for their retail stores or outlets. It puts emphasis on the experience of candidates while working in a store or retail outlet. Government application form has their terms and condition, and this Government application form shows what must be there in any Government application format. If you are to design one for your client, it will be of great help. What should You Remember While Sending An Application Form? 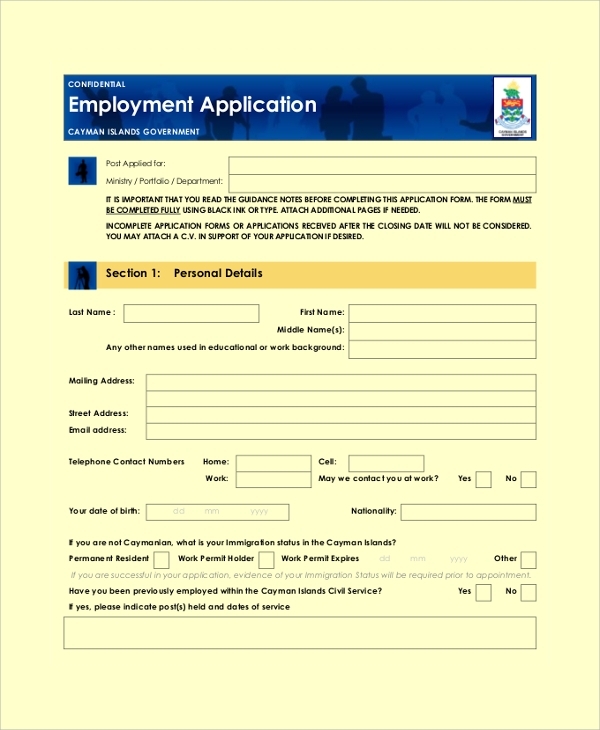 When you are going to send an application form to any employer, remember that it can either be a forced application or application sent due to an advertisement. Whatever it is, it must include all the details about your professional and personal life that may affect their decision making. You need to put in those details that will highlight your experience and why they should choose you over others. Hence, when you are going to send any Application Forms, try to include that information that is relevant to your career and expertise. 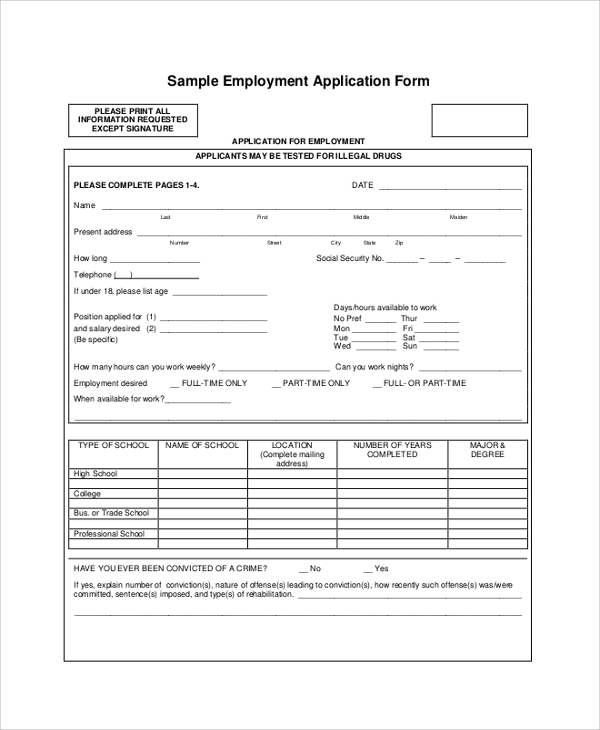 Can Employers Too Seek For Application Forms? 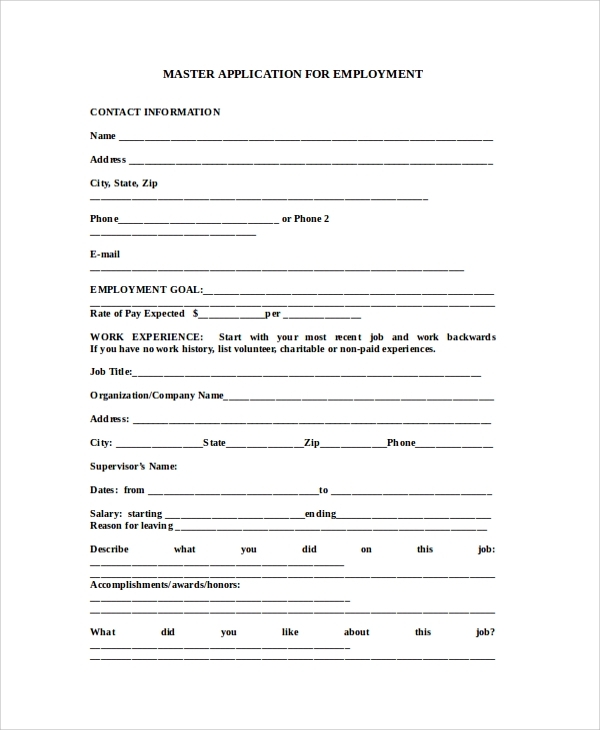 Most of the times, candidates have their format of sending an application form. The human resource department has to fetch out every data that is of their concern and then shortlist few and send rejection letters. 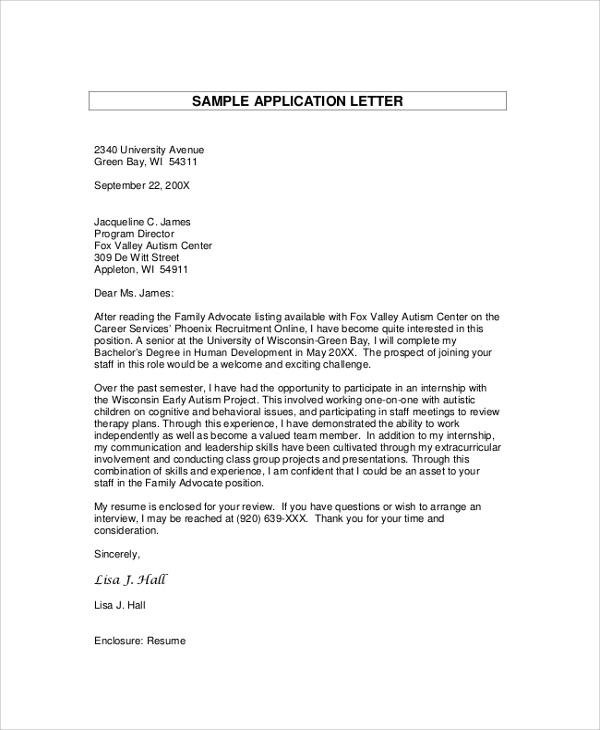 You can get Sample Applicant Rejection Letters online too. However, to ensure that they can gather the required data in the same format, they ask the candidates to fill in an application form that is designed by them. Hence, the format is same, and they can get the required information quickly. Whether you are looking for Sample Rental Applications or other employment applications, you can get some samples from our collection. They will give you a good idea about how to design such application forms so that you can get the required information. Try them out, and you will find them quite useful.